Reviews are so important these days. It is how I decide what to purchase online. However our products are one of a kind! So here I have decided to post some pictures of our customers work (what they made with our products), as well as reviews and testimonials on the products we provide! 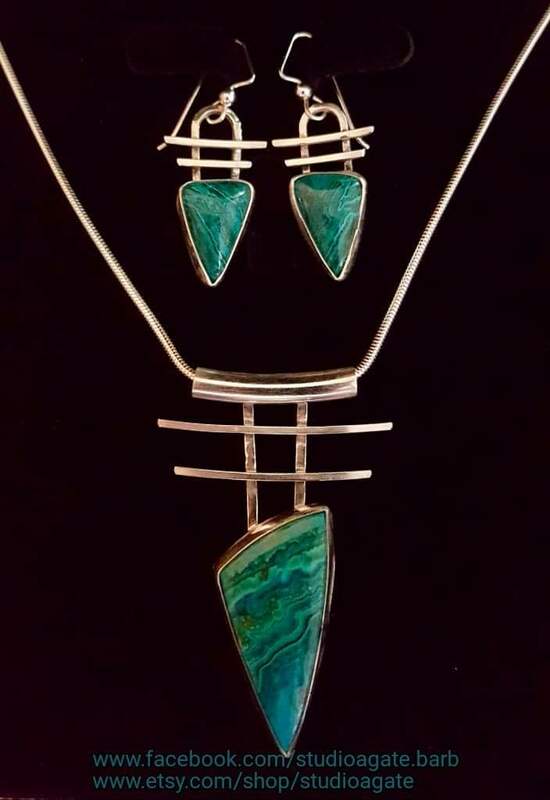 "Just finished this commissioned set. Thanks for the fabulous cabs!" 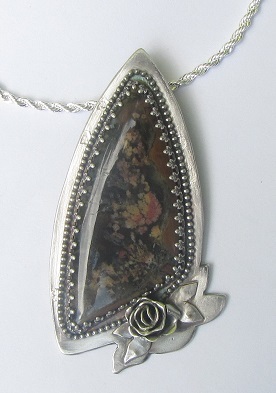 "What I accomplished with my purchase of your beautiful PRIDAY PLUME AGATE. I hope you are as pleased as I am. Thank you for letting me share." 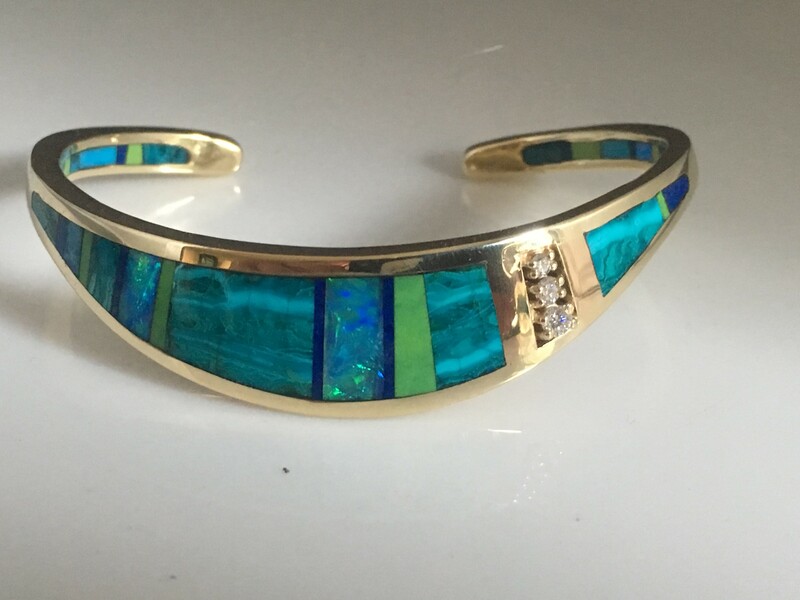 This beautiful cuff bracelet was made by Betsy Bracken from our polished Chrysocolla slabs! "Great seller Fast shipping excellent specimen" -ebay buyer of Covellite match pairs. One of our lovely customers wearing her custom made bead necklace with our focal point beads. I am happy that I could get this stone I wanted. 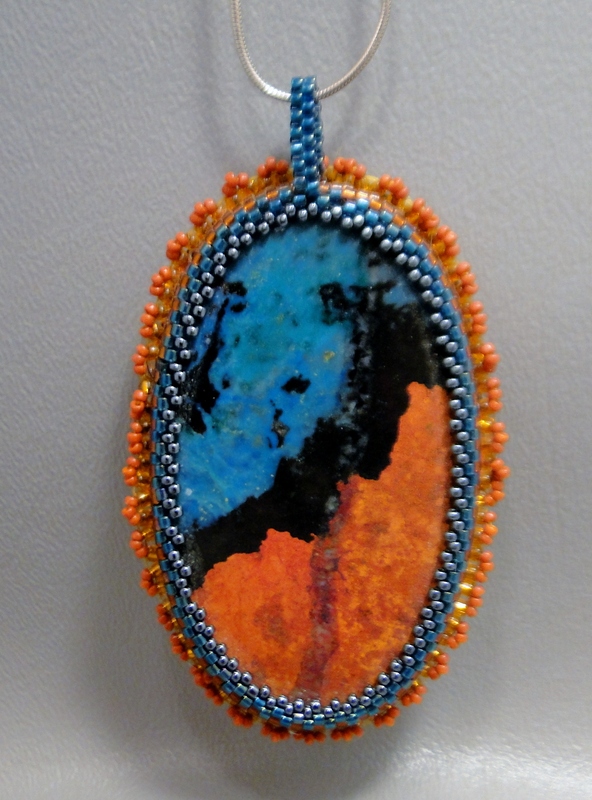 Another custom made bead necklace using one of our bead pendants, by Mare Hermanson of Lovewell Beads. One of my favorite customers, Pat Carpenter, does this lovely beaded bezels with our cabs. by our amazingly talented customers.